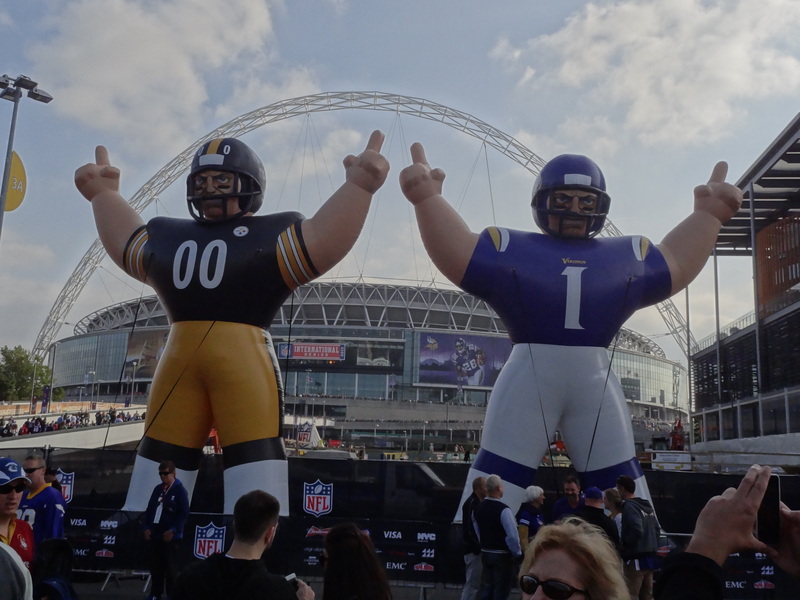 The Vikings and Steelers season had been like these inflatables – full of hot air. Streaking, not a man with a shaved head and his shriveled tackle swinging side to side as he gets chased by stadium security, but the ability to do something consecutively. Streaking is something I like to do, so it was with regret that I missed the NFL regular season games played at Wembley Stadium in 2011 and 2012, after watching games in the flesh between 2007 and 2010. I was unable to attend as I had more important matters to attend to, namely the birth of our daughter in October 2011, and her development as a 1 year old in 2012. Going back to Wembley this year was a 2012 Christmas present, that I had to wait ten months to unwrap. I also had the rather unwanted gift of travelling down from Birmingham by coach alone, as my wife and almost two-year-old daughter were not going to have as much fun on the M6 with me. After getting to Birmingham’s revamped coach station an hour before the coach arrived I was then told the departure time had moved and the coach would be leaving an hour after it was scheduled, so I had to take my time sipping my cappuccino, munching on some Polo mints and listening to the latest Rich Eisen podcast. I didn’t open my mouth during the journey to Wembley, as the guy I sat next to looked rather angry and wanted to sleep. I listened to a few more podcasts, the latest ESPN Fantasy Focus Football podcast and Tuesday Morning Quarterback. I ate some Wine Gums and almost choked as the man beside me scoffed not one but two rather bulbous scotch eggs. Arriving at Wembley was a bit frustrating as we drove straight past what I thought was the coach car park, around the back of the stadium, and to what must have been a smaller over-spill coach park. 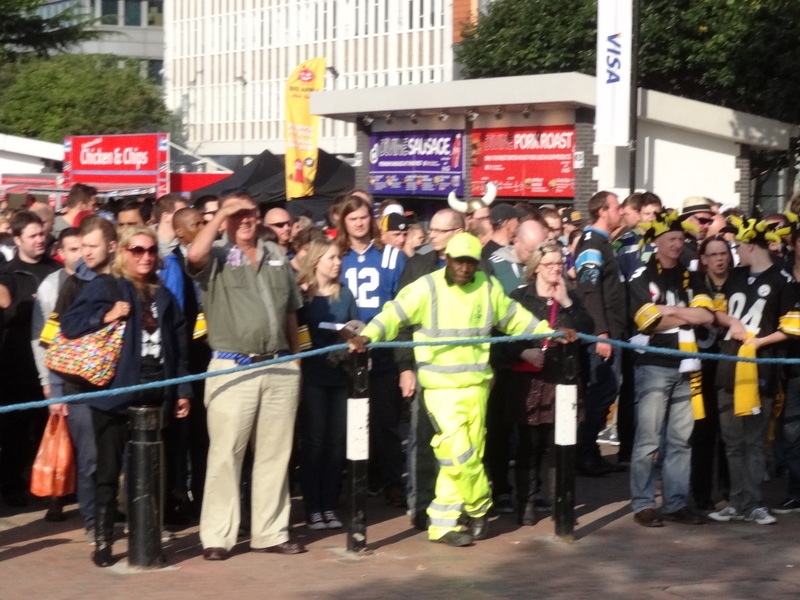 As I arrived about 3.30pm the place was buzzing and there was an eclectic range of NFL shirts, worldwide NFL fans and sellers of unauthorised and inappropriate (as in irrelevant) dodgy game day scarves. My first task of the day was to find my internet friend from Minnesota.